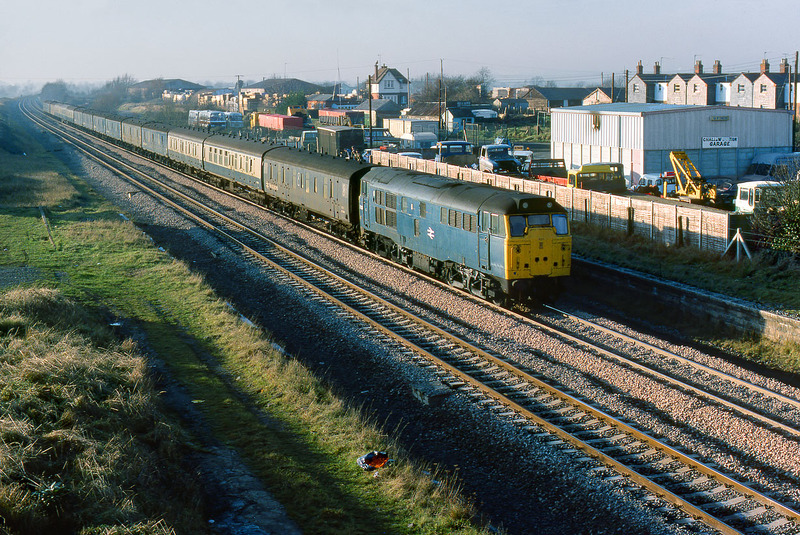 With a healthy load of 15 vans, 31120 passes the remains of Challow station on 3 December 1983 with the 3A21 11:25 Malago Vale to Old Oak Common empty newspaper vans. This is the only time that I saw this particular locomotive, which was withdrawn in 1991. Before the reinstatement of the relief lines at this location in the 1990s, both old platforms were still in situ. Slightly unusually, the roadbridge crossed the centre point of the platforms, leading to interesting views in both directions.